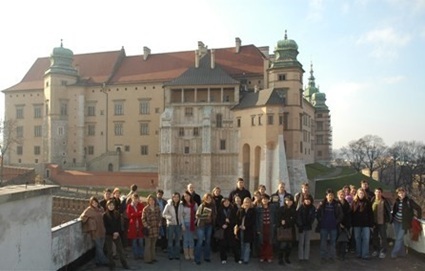 In Poland the SpeakApps project was presented to a group of 30-40 members of the academic staff from several Krakow universities during presentation entitled ”Research in CALL: From the Experiences of the University of Melbourne” that Robert Dębski gave at the JU Centre for Distance Education. The project was also described to the Academic Board of the Faculty of Polish Studies at the Jagiellonian University in Krakow. The idea was to engage the interest of the senior members of the Faculty in the project and support for online Polish language programs. We also presented the project to the technical staff at the Jagiellonian University Centre for Distance Education. Now we plan some training session for the teachers of Polish as a foreign language.